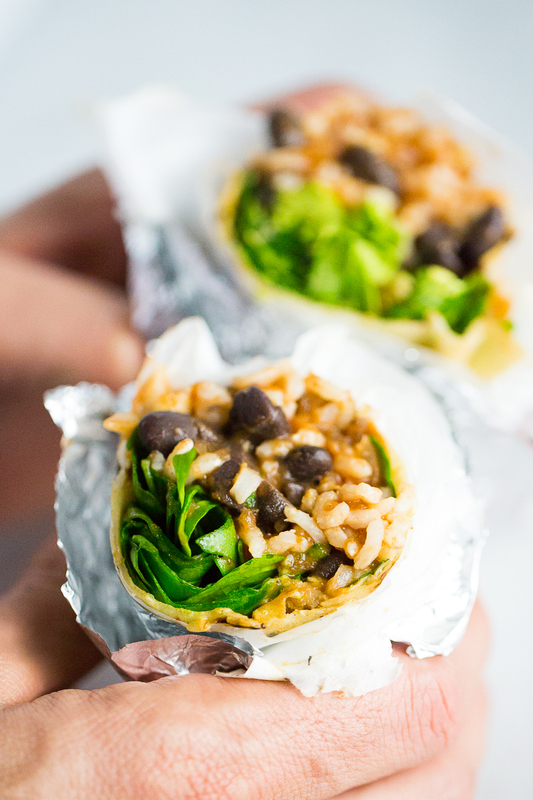 This is probably the healthiest and easiest burrito you’ll ever try. 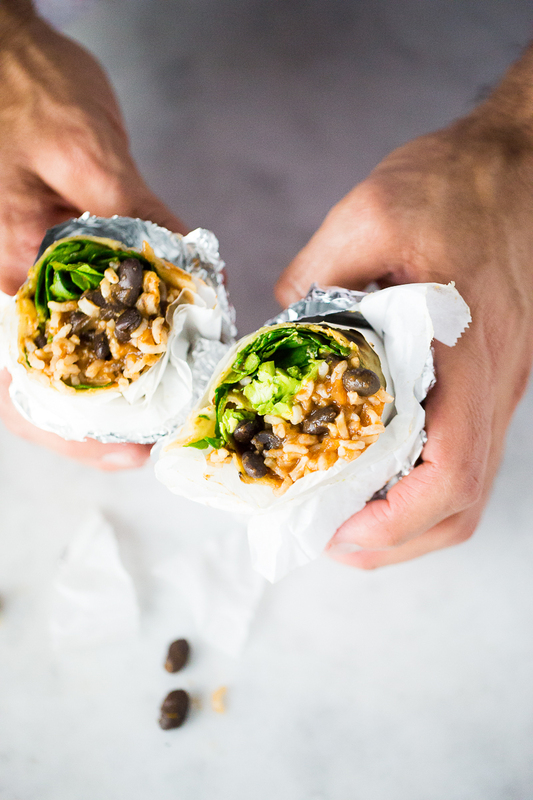 Just imagine a flour burrito tortilla filled with black beans and brown rice heated with an awesome chipotle enchilada sauce… Sounds super good right? And they are also made with make-ahead ingredients, they travel well and are kind of addictive. At the beginning of the week, I cook some kind of bean and a grain and I keep them in the fridge. This makes my life easier when it is time to cook and feed the family. 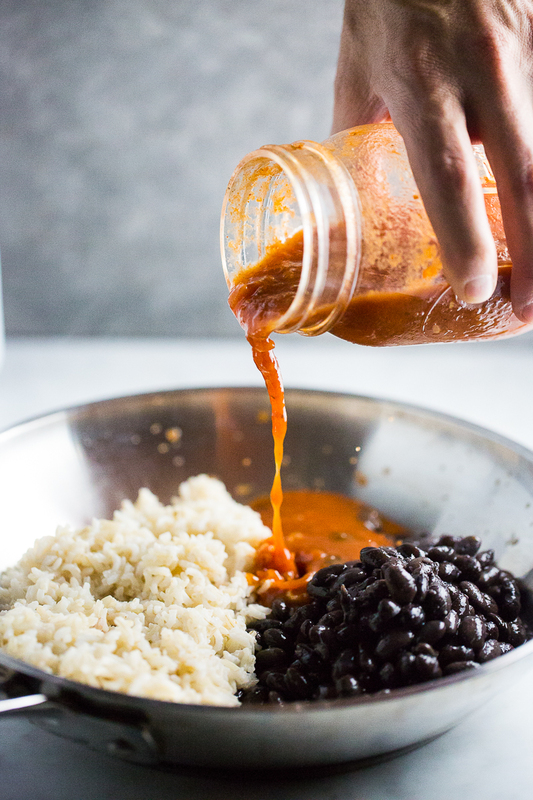 I also try to make double batches of any dressing or salsa I prepare. 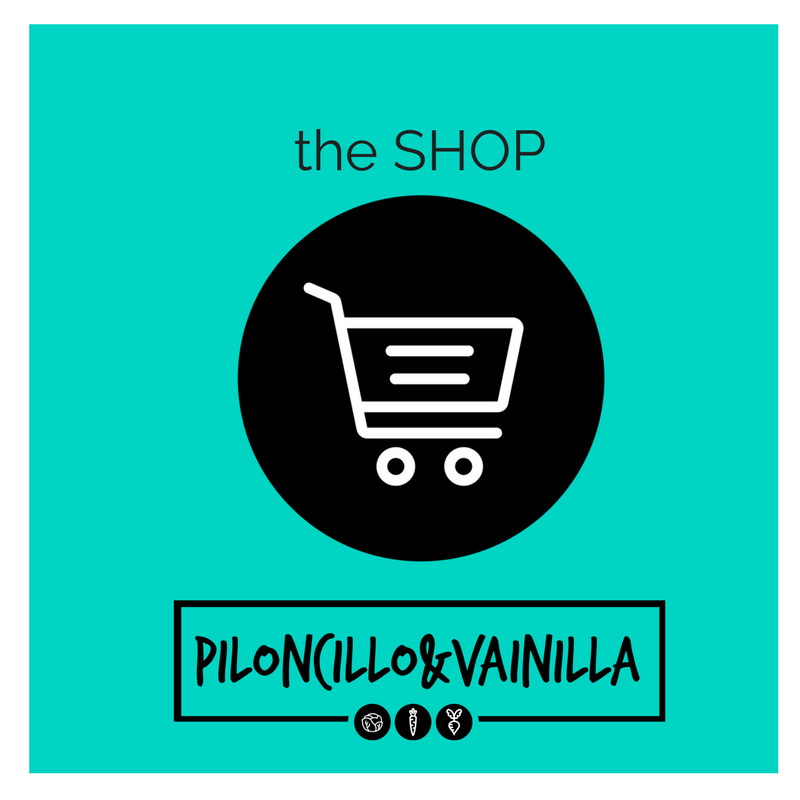 Here is the recipe and I hope you like it if you do please share the recipe and blog. and I hope you like it. 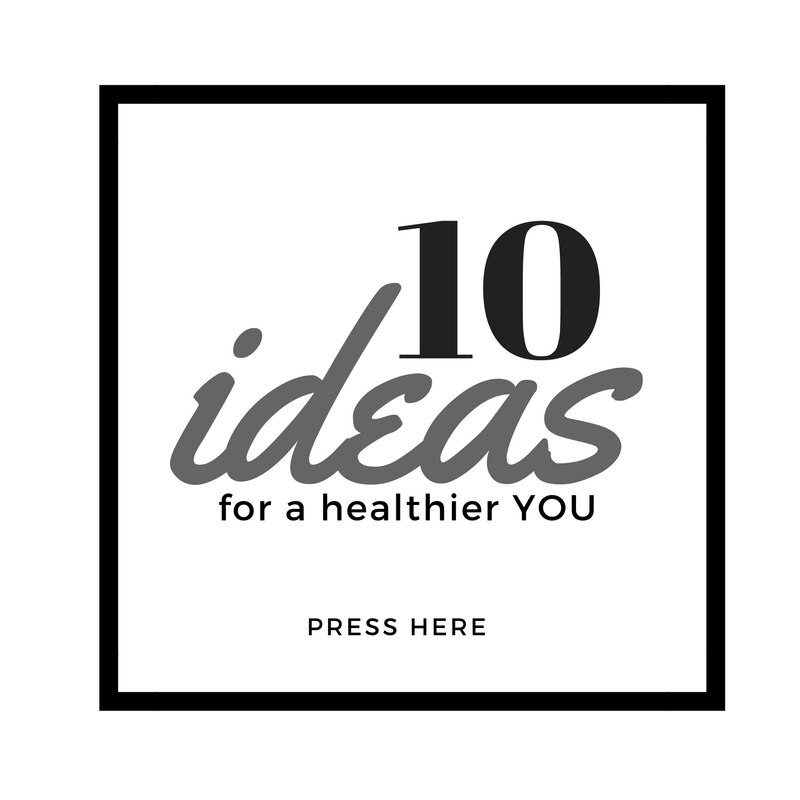 If you do please share the recipe and blog. 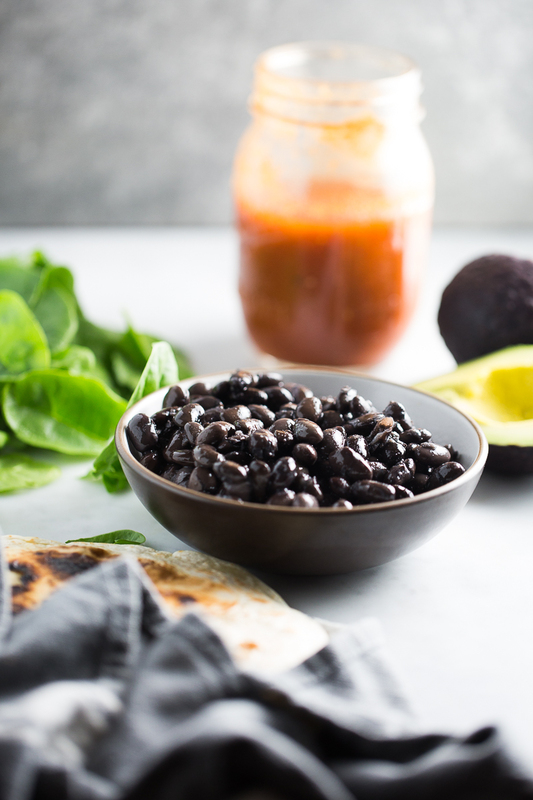 Black bean, rice and enchilada sauce burritos, easy to prepare, vegan and Mexican. 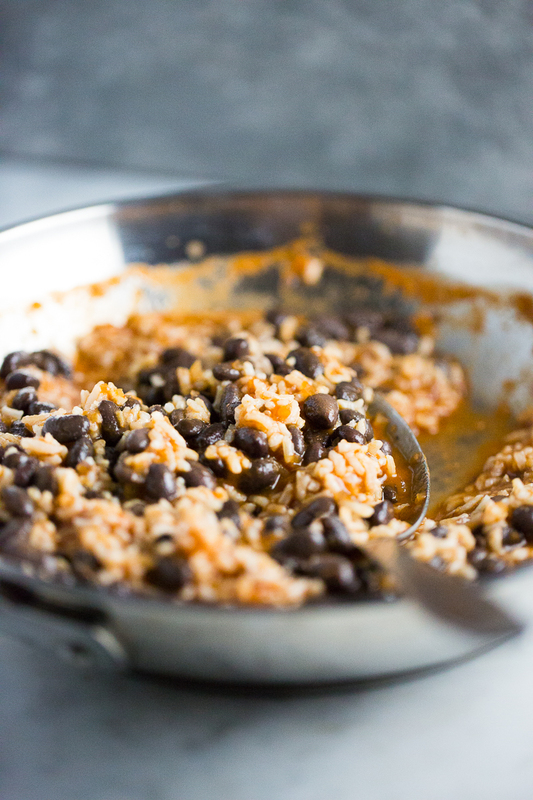 Heat the rice, and enchilada sauce over low heat, check for salt and add more if necessary. 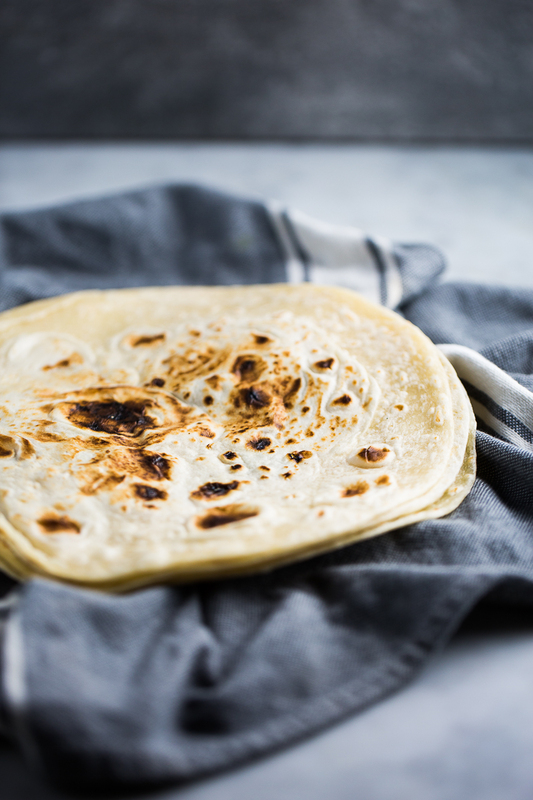 Meanwhile, this is ready, start heating the tortillas. 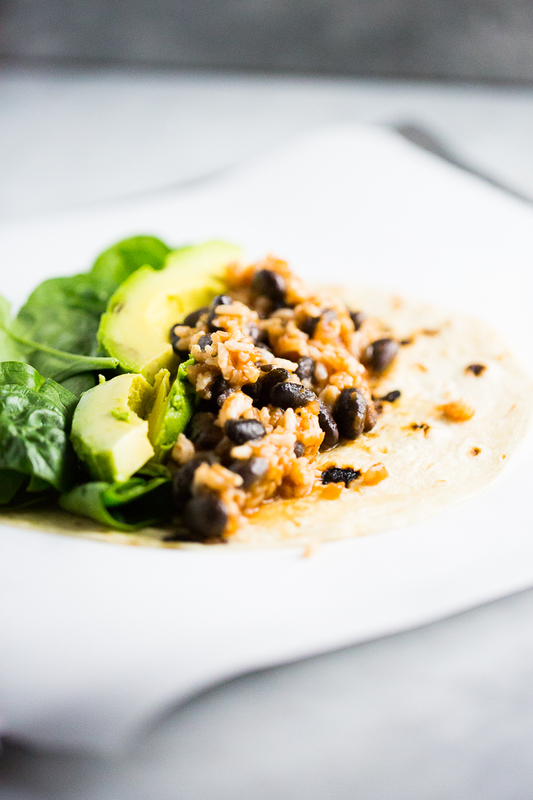 When ready add a tablespoon or two of rice and bean mixture to a tortilla, add greens and avocado. 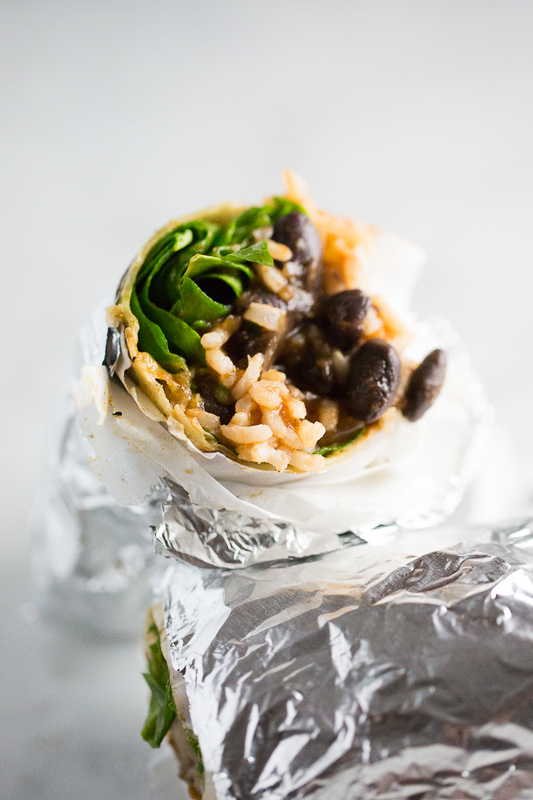 Fold as a burrito, first, fold a bit two sides and then completely roll the remaining side. If you're going to take them with you, wrap in parchment paper and then with foil. 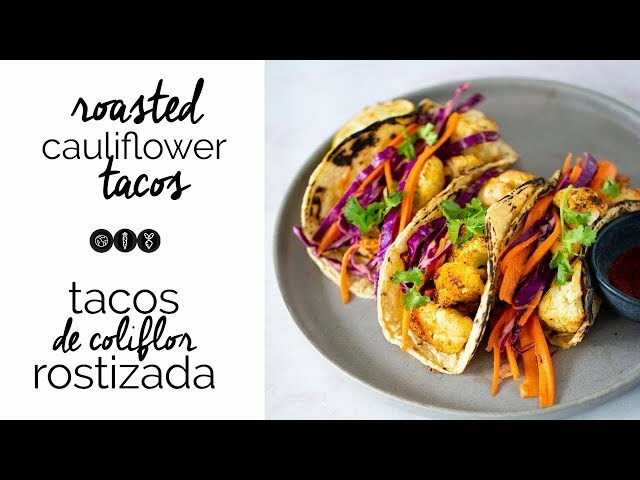 You could also add some cilantro, tomato, vegan crema or vegan cheese.